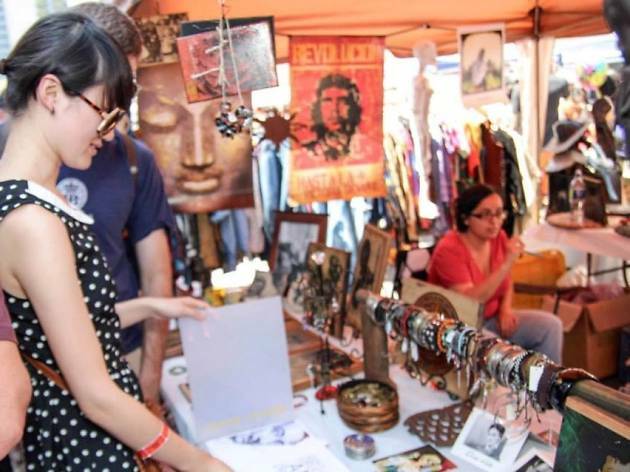 We Angelenos go gaga for burgeoning flea markets in this city like tourists for L.A. landmarks. Adding to the throng of artisanal havens, Phillip Dane (curator of Dodger Stadium Flea, Downtown Flea, and Melrose Flea) launches the greatest one yet with a monthly night market called Odd Nights at the Autry. Think of it as dance party meets happy hour meets shopping extravaganza. With live local bands, beer gardens, cocktail lounges, a full bar, 20 gourmet food trucks, 200+ vendors, Bouncy Zone Rides, kid's face painting, and more, you might want to start reserving third Fridays in your calendar. 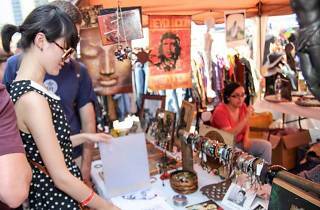 Vendor fare includes handcrafted jewelry, fashionable garb, home goods, antiques, collectibles, artwork, and other Etsy-esque finds. Pull up via car, bike, or horse (yes, horse) and you’ll get to park your wheels (or, ahem, hooves) for free if you're one of the first 2,000 attendees. If you live in the area, it's a nice thing to stop by one Friday during the summer. It's not going to blow your mind, but it's a nice way to spend a lower key Friday night in the area. There is a decent selection of interesting vendors (jewelry, clothing, food, etc), plenty of food trucks (wait times vary) and some good stuff for younger kids (bounce house style 'rides').